One of the toughest things for professional services firms to do – especially those that operate in the advice space – is settle on a strategy to guide the decisions in building the business. It is helpful to consider strategy from a very broad perspective to begin with, and settle on a broad line of thinking that feels like the right combination for your values, aspirations and beliefs regarding future opportunities. By themselves, none of these are a strategy as such. They are chosen battlegrounds: they are where we decide to develope and deploy our competitive strategy. We then begin to consider how to bring a different, hopefully unique, slant to this broad strategic concept. For example: Different business models, or structures, remuneration and service propositions, service or delivery methods all are capable of shaping a broad strategic direction into something which begins to take on the shape of uniqueness. While the strategy begins to take shape as a working concept, as you now have a clear direction and a more firm idea of how you will execute that differently to others, it is not complete. 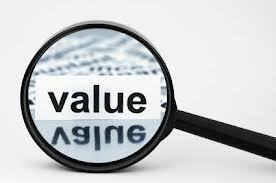 how do you think you should create value for customers? give them the same benefits for about the same cost as others in your space? give them the same benefit for a lower cost? give them more benefits for lower cost? give them more benefits for a higher cost? give them more benefits for more cost? give them more benefits for less cost? Is this consistent with the broad strategic proposition outlined above? If you are clear about the general strategic direction you want to take, and have a clear idea about how you want to create value for customers, and have thought about how to deliver that, you have just sorted your business strategy – and then the business planning can begin in seriousness!